From High In The Sky: Today I Will..
Aah, we've birthday partied, Easter lunched, picnicked, sat in the sun. Finally, finally, everyone is back at work, school, wherever they go when they aren't here asking me for something. *Have a go at Alexa's wonderful digital template (with free downloadable instructions!). Dare I digi, do you think? *Really get stuck into finding a flat for my brother. He's on sabbatical from the end of the month and he's coming home to write a book. Hurrah! The pressure is on for me to find him a great place, with me being in the business and all. Your post today just shows the power of routine. Sometimes there's nothing better than simply putting one foot in front. Sounds like a wonderful day to me! I'm back to the routine today :( I'm trying to get enthusiastic - honest. thanks for the reminder about albums. I bought a pile of them from What! last year and I have only three left. I have just liberated a pile of old photographs from a long forgotten box so I have pages and pages to make and soon I'll have no where to put them! and with the Family Reunion at the beginning of June I have to have the albums ready to show off. Am late here..but am loving your story-telling Sunday. Will definitely be joining in!!! How cool is it that you have so many layouts done you keep finding more that haven't made it to an album? I just found a pile of layouts yesterday that won't fit into my albums, I definitely need a couple more! Sounds like you have a wonderful day ahead of you. I too need to order more albums - isn't that the best feeling in the world, where you've scrapped ahead of your capacity. And I'm pacing myself and enjoying the stories all week long. There are some really good ones. I hope your day is going to plan! 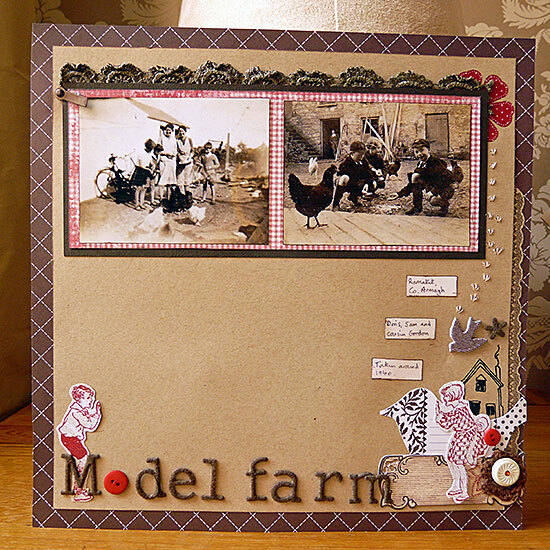 I love the model farm LO, brown is my favourite colour thi not one I seem to use in scrapping and the red with it is fab. Are those old pictures of your family? Love the farm layout. Great colours. Would love to see your digi layout. Love the layout Sian! My teaching term ended last week, so I'm doing lots of catch-up and clean up this week. I have lots of albums....it's actually getting the pages into them that's the problem!!! And a lot less of the old, please....or I must be vintage!! Am also hoping to have a go at Alexa's digi page. Have fun with the digi! Love the layout, great feel to it. Hope you had time to get on with your wish list today. Lovely layout - really interesting placement... and the colour choice is so perfect! Happy flat hunting! And I love your LO - I too need new albums, just finished the last one! 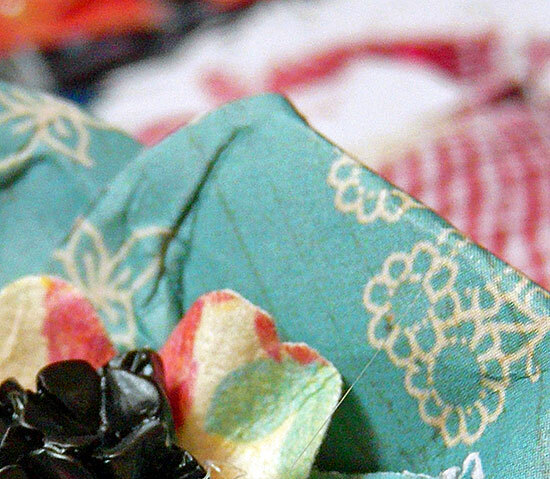 Its all this blogging, its encouraging me to do more scrapping! Storytelling Sunday is such fun Sian, I am itching to join in (hopefully when life slows down a little; or will it ever?). Good luck with your lovely list and finding your brother a flat. I always smile when I hear that; everyone calls them "apartments" out here! Oooh now - Sian does digi? I'd love to see that. I tried once and it scrambled my brain. But I am a bit numptyish when it comes to anything technical at ALL! Am so glad the poster is being enjoyed :) I knew it found it's way to the right person! oh no, don't go digi!! lol! I cannot get to grips with it at all! Love all the little bits on your farm yard layout. good luck with the flat hunting. It IS lovely when life gets back to 'normal' isn't it? Love the LO! Sian you have put this page together quite beautifully - again it is the attention to detail but it is also the ability to combine vintage photos with modern scrap product that is done so seamlessly! Today I won't! And I didn't! Hope you have had a lovely day, Sian! I love that wonderfully nostalgic page: I remember being IN photos like this, with just these sorts of clothes and caps, and farm buildings a round... Hope the template is going well? Can't wait to see your digi layout, you will have lots of fun doing it I'm sure:) I love those old photos, especially the one with the chickens! P.S thanks for your recent comment.